The phrase iron sharpens iron is definitely true in business. Mastermind Groups are designed to bring like-minded, forward-thinking individuals from many industries together to grow. When was the last time you felt truly challenged by your peers? Iron sharpens iron, and Stephanie Chung’s Mastermind Groups provide a real edge. With a lower entry cost than 1-on-1 coaching, Mastermind Groups bring together professionals with the same goal for growth and accountability. Stephanie leverages her proven coaching expertise, and drives a meaningful dialogue within the group that pushes everyone to succeed, make each other better, and keep each other honest. Some of the most meaningful expertise in group coaching is shared between individual group members. Real growth occurs when Mastermind Group members strengthen each other with their unique perspectives and hold each other accountable, helping one another become more dominant in their industry. While Mastermind Group Coaching provides many benefits, the expressed goal is to help professionals surpass their goals and become leaders in their field. 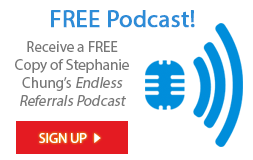 As Stephanie says, signing up for a Mastermind Group in itself proves you’re an all-star. The expertise gained will push you over the top. The transition from sales pro to sales leader isn’t an easy one. Our Mastermind Groups push sales leaders to develop the leadership skills necessary to grow a strong team, hold them accountable, and increase top line sales. You and your Mastermind Group members will grow into leaders whose teams sales professionals beg to be on. Case Study: Discover how JetSuite saw a 30% increase in topline sales (and a more positive and confident sales team). Click here to read more. 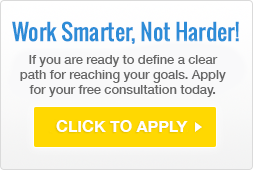 You’ve got a quota to beat, strategies to learn, and a lifestyle you want to achieve. We’ve been there. Leverage our expertise and the unique perspective of your Mastermind Group to truly dominate your industry. We’re in the business of building million-dollar sales pros, and we don’t accept excuses along the way. We empower small business owners with the knowledge and discipline to take their companies to the next level of success, while learning valuable lessons from other entrepreneurs in a group setting. These insights will help grow your business even further and give you more time to actually enjoy your life.